Thank you and your associates for a great job. The granite was cut and installed perfectly. We plan on another project in the near term (once the dust literally settles) and will most certainly involve your expertise. Shaw's Color of the Year 2017 is Lush. 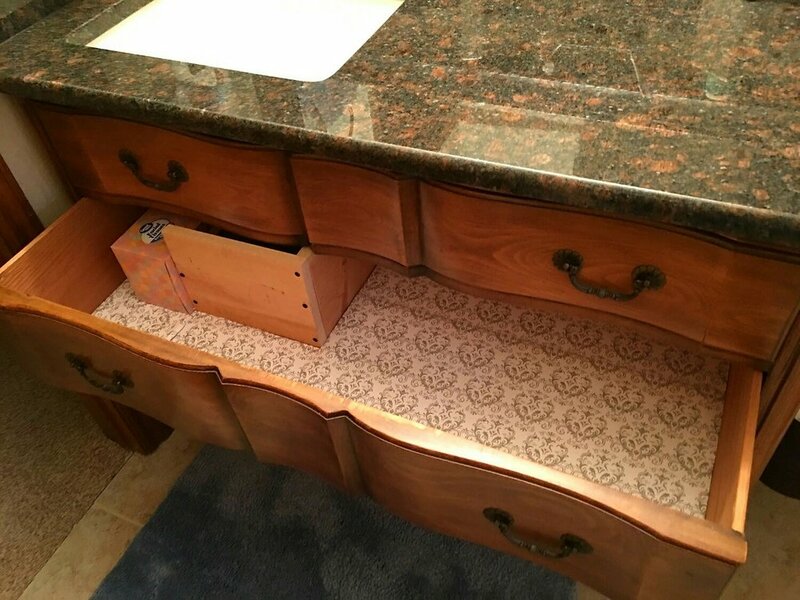 Check out this cool DIY project by Mike B from Mustang, OK. 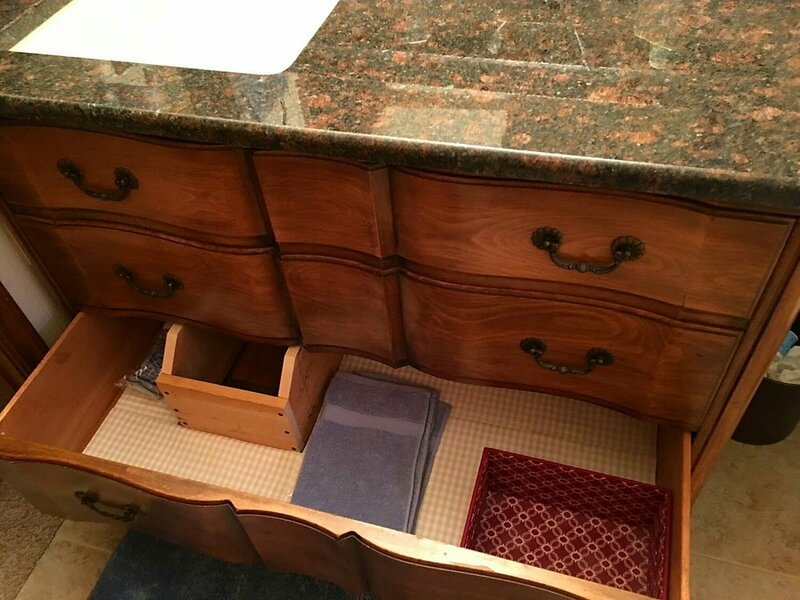 He converted a dresser into a gorgeous bathroom vanity by picking out a remnant piece of Tan Brown granite, using our fabrication services, and installing the countertop himself. What do you think? If you are interested in unleashing your creativity on your next DIY project, call us today!